For some people, the transition from work to retirement can be problem-free, but for others, complications can arise. Retirement can be especially problematic for individuals whose primary identity is their occupation. These individuals may be financially ready to stop earning money, but have not thought through who they will be or what they will do when they're no longer practicing medicine. In the book Comfort Zones: Planning a Fulfilling Retirement, Elwood Chapman and Marion Haynes write, "Many people are so preoccupied with getting out of a career trap that they seem to care little about what happens after they leave their jobs. Too many people retire to nothing and then wonder why they feel disenchanted." Do you plan to change your lifestyle when you retire? If so, how? Will you move to the beach or to the mountains or to be closer to family? What will an ideal week in retirement look like? What will you do on Saturday morning? Or Tuesday morning? Or on Thursday night? What are you most concerned about in retirement? What will you miss about practicing medicine? For example, if you enjoy researching and learning about new medical advances, think about how you can continue learning in retirement. What are five to ten goals you want to experience in your lifetime? Will the division of household chores change in retirement? Will you take over yard work now that you don't have to take call? If you have grandchildren, how much are you willing to baby sit? Are there classes, clubs or volunteer groups that may be another source of friends? What is one small change you can make now? Set an alarm for your bedtime? Eat a vegetable with each meal? What are fun ways you can move more? Walk your dog? Plant a garden? Get a stand up desk? How can you work out your brain? Learn a new language? Teach a class? Is there a job that you have been interested in or a subject you've always wanted to study? Could you work as a consultant for an insurance pharmaceutical company? Have you wanted to start your own business? To have a successful transition to retirement, you need to spend time thinking about what life will be like then. You don't want you to focus on your retirement date and ignore what life will be like in the days and weeks that follow. The most important thing you can do now is to commit to turning these tips into action. Opinions and information expressed herein are subject to change without notice. Bridgeworth, LLC, including your Advisor, may have issued materials that are inconsistent with or may reach different conclusions than those represented in this commentary, and all opinions and information are believed to be reflective of judgments and opinions as of the date that material was originally published. Bridgeworth, LLC is under no obligation to ensure that other materials are brought to the attention of any recipient of this commentary. 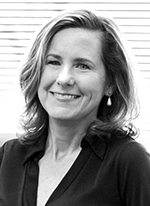 Patti Black, CFP is a financial planner with Bridgeworth, LLC. She has over 20 years of experience helping affluent clients align their goals and their money.